With year-round balmy temperatures, plentiful rain and sunny skies, few would ever think that it would be beneficial to grow plants in a greenhouse in Hawaii. While it seems counter-intuitive at first, a greenhouse makes a lot of sense in the Hawaiian Islands. While many plants thrive outdoors in Hawaii, some gardening situations may work better in a greenhouse. One of the chief benefits of greenhouse growing in Hawaii is the protection the controlled environment can offer against pests. According to the USDA, introduced insect pests, like the oriental fruit fly and melon fly, thrive year-round in the warm tropics and cause major damage to developing crops. Tomatoes, sweet peppers and cucurbits are particularly vulnerable to these insects. Well-built greenhouses can effectively exclude slugs and snails, which are serious plant pests that can also be dangerous to humans. In Hawaii, slugs and snails carry a microscopic parasitic nematode, which causes a condition called rat lung disease in humans. Greenhouses can also protect crops from hungry animals, such as rats and mongooses. Especially in windward locations on the Hawaiian Islands with high annual rainfall, greenhouses offer protection against excessive rain, which can lead to fungal infections and poor yields. Erratic and unpredictable rainfall at the wrong time can cause ripening tomatoes to split, rot leafy greens and decimate sprouting seeds. 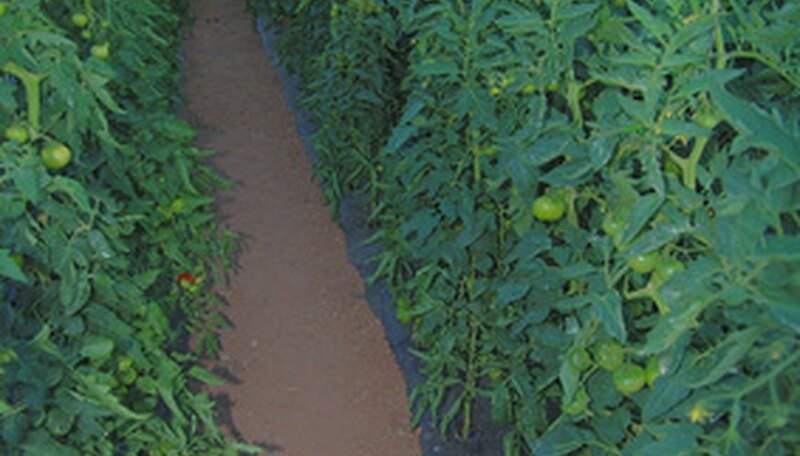 According to the University of Arizona's Controlled Environment Agricultural Center, polyethylene, or other plastic covers, allow for controlled irrigation and significantly improve growing conditions. In sunny leeward locations, the tropical sun is too strong for certain temperate crops, such as lettuce, spinach and peas. Greenhouse shade cloth coverings allow gardeners to adjust the light to create the optimal amount of brightness for each crop. Some commercially grown flowers, such as orchids and anthuriums, have tender leaves and blossoms that easily burn in the sun. So they should be grown under shade cloth.